This Admiral 40 Executive boasts a surprising amount of internal volume, headroom, and convenient, comfortable flat decks. Her increased forward vision, wider hulls, luxurious interior and a long list of equipment make for a comfort and functionality level that is unsurpassed in a 40-foot Catamaran. Angelo Lavarnos designed the Admirals and they are remarkable sailing Cats, achieving speed and performance usually associated with larger Performance Catamarans. 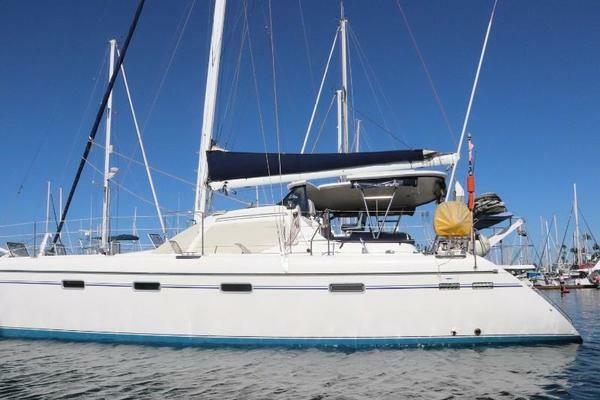 "Options" was sailed on her own hulls from South Africa to Florida and she is ready to take you anywhere in the world.